Panning for the voter who will show up is as much art as science. As election time for state offices nears, candidates and their campaigns have to be wondering where their core voters are and how to get them to the polls. While 22% percent turn out for voters 61 and older is pretty sad, it laps several times the 4% for voters 18-24. Spending time at the local breakfast joint (like McDonalds that offers free coffee refills) may garner more votes than a more exciting appearance on a college campus. 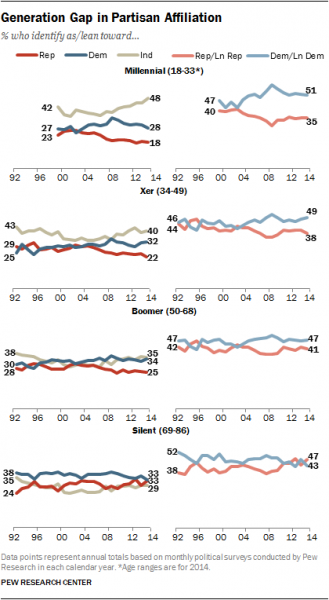 Democrats fall into the chasing the youth vote far more often than their GOP rivals. There's a good reason for that: educational attainment makes a difference in party affiliation. (See Pew Research chart at left). 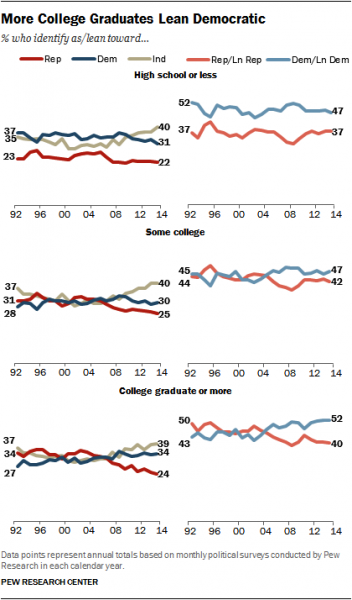 The more highly educated the more affiliation there is to the Democrats. For Kentucky Democratic politicians, it's a good news/bad news statistic, with only 23% of Kentuckians having a bachelor's degree or higher, the pool of supporters is smaller than that of the GOP. The issue for Dem candidates courting college students for a May primary boost is the college calendar isn't conducive to groups of students going to the polls. In 2019, the University of Kentucky is holding graduation on May 6th, the earliest of the state universities. The other schools we checked - Morehead State University, University of Louisville and Murray State all have graduation on May 11th. That's a full ten days before the primary. Traditionally, undergrads are long gone before graduation day. They will be back home before the primary. The push to register college students in their college town is a plan for the general election, but leaves students trying to figure out absentee balloting (if they are not "townies") to vote in the primary. The 4% turn out in the primary is a reflection of how many make an effort. 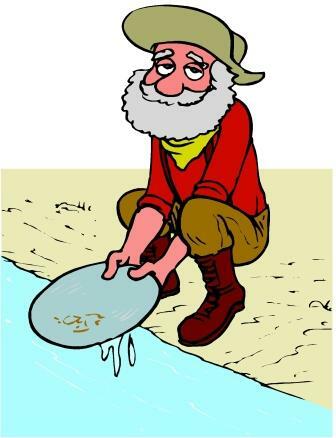 The question that Democratic candidates pursuing elusive voters in the primary need to be asking themselves "Is panning for the youth vote fools' gold or is the long range benefit worth the effort?" Generation X, Y and Z grow up and the trend is that they will grow up Democrat s.